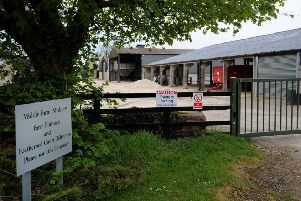 A petition has been launched in opposition to Tarmac’s expansion plans with a slight change allowing anyone with concerns to comment. The firm wants to operate its Banbury plant 24 hours a day to cope with extra demand for asphalt from HS2 and increased house-building. Cllr Hannah Banfield has been co-ordinating a campaign against the plans with a number of people who live near the site. The campaigners argue the expansion would unacceptably impact the air quality of Hennef Way and the level of noise for neighbours . “With people stuck sitting in traffic congestion and with residents’ homes located near Hennef Way, I worry very much about people ingesting the toxic air pollution which can cause asthma in children and respiratory diseases in adults,” she said. Tarmac has changed the operating times for what would be its new site to 16-hour days but still wants to extend the current plant to 24-hours. The deadline for comments is February 19. To view the plans, search for reference MW.0116/18 at www.oxfordshire.gov.uk. The application is expected to be discussed by Oxfordshire County Council on March 4.